On 14th March 2019, CANI returned to the Ulster Museum to host its second annual Schools Classics Conference. Proceedings got underway by CANI Convenor, Helen McVeigh, who welcomed those in attendance and introduced our first speaker, Dr Greer Ramsay of the Ulster Museum, to present on ‘Hoards’. Dr Ramsay described how a ‘hoard’ by definition was ‘two or more objects buried but then never recovered’ and noted that there is no suggestion of the type of material, something born out in the exhibition where there are various items – coins, horns, rings, buckles, tools – made of various materials – stone, precious and base metals. Hoards a not only varied in their make up and materials; their period and context can be equally varied. They could be pre-Iron Age, Roman, Viking all the way up to modern. They could have been buried to keep them safe from invader or they could be a savings hoards like the ‘Roman piggybank’ of Muswell Hill. Could the massive coin hoards of Cunetio, Frome or Hoxne be attempts to escape rising debasement of coins as well as raiders? They could also be ritual deposits that were not meant to be recovered. Hoards can also alter our perception of certain aspects of the Ancient World. Dr Ramsay gave the example of the Roman material found in Ireland – we ‘know’ that the Romans did not invade Ireland, but then how did there come to be Roman coins at Newgrange, Roman rings in Murlough Bay and the 1,500 coins and 6kg of silver in the Coleraine Hoard, each of which do not necessarily look like the proceeds of raiding? The presence of these hoards goes a long way to rewriting the history of Romano-Irish relations. Dr Ramsay’s talk acted as a perfect introduction to the important subject of hoards and drew the attention of the audience to the fascinating ‘Hoards’ exhibition currently resident in the Ulster Museum. This Bronze Age shaft tomb was found near the site of the Palace of Nestor at Pylos and has been dated to the mid-fifteenth century BC. Within the tomb, an adult male skeleton was discovered. Computerised facial reconstruction of the skeleton and skeletal analysis shows that the warrior was in his 30s and stood 1.7m tall. Found inside were more than 3,000 objects including weapons, jewellery, armour, combs and various pieces of gold and silver. Many small, carved seals were found in the tomb, each one etched with images of combat, deities, lions, and men jumping bulls, demonstrating the Minoan influences of many of the artefacts. The most important artefact and Dr Kolotourou’s ‘strange discovery’ was one these seals, known as the Pylos Combat Agate. The seal is 3.4cm in length and was found covered in limestone. It was restored and found to be engraved with a triangular image of one warrior attacking another, while a third lies on the ground. The image involves minute detail and questions have been raised about how such an image might have been carved without the aid of a magnifying glass. One potential solution was that a drop of water was placed on the seal to aid the artist. Dr Kolotourou was thanked for her fascinating and thought-provoking lecture, bringing attention to a discovery that Dr Jack Davis, one of the discoverers of the Griffin Warrior tomb, suggested was a thousand years ahead of its time. Prof. Scott started off by commenting that Delphi is in a rather strange place, hardly easily accessible to those who would consult an oracle (and pay for the privilege). Perhaps this inaccessibility was to ward off the uncommitted or to provide the site with an added layer of mystique? A need to explain such a peculiar site may have encouraged the numerous origin myths recorded for the Oracle at Delphi, variously involving Apollo, Zeus, eagles, goats and dragons. A factual basis for the site was long thought to involve the emergence of strange gases from the ground around where the temple was built, causing the strange visions and double speak of the (high) priestess. Prof. Scott regaled the audience with the story of how, initially, when Delphi was subjected to a modern archaeological survey, no trace of vision-causing gases was found, leading to the summation that the whole Delphic Oracle visions was a hoax. However, further study in the 1990s proved that the Temple of Apollo was built upon a fault between two plates, releasing gases including ethelene, which causes hallucinations. The Delphic priestesses were indeed getting high! Prof. Scott then turned to some of the known ‘predictions’ of the Delphic Oracle, demonstrating how they seem to have been intentionally ambiguous – the famous advice to Croesus about a ‘great empire’ and the ‘wooden wall’ of Athens. This intentional ambiguity meant that Delphi could never be proven wrong, only the interpretation of the asker, leading Prof. Scott to refer to the Delphic Oracle as something of a ‘management consultant’, telling you something you already knew. After a few questions, the talks schedule of Schools Conference 2019 came to a close, but they were not the only aspect of the day. In the Welcome Area of the UM, a handling session and the legionaries of Legion Ireland had set out their stalls. Martin and his men from Legion Ireland, in their second trip to the Ulster Museum in concert with CANI, once again did sterling work in attracting the crowds and then keeping their attention with not only their vast array of Roman equipment, but also their extensive knowledge, enthusiasm and willingness to share that with everyone (and pose for innumerate photographs!). We send our thanks to Legion Ireland and look forward to having the men from Cork visit us again in the near future! The equipment displays of Legion Ireland were augmented by an artefact handling table provided by the Ulster Museum and ably manned by two student archaeology interns, Christoph Doppelhofer and Christine Farnie. With refreshments and sustenance partaken and all the legionary gear packed up, a great day was rounded off by CANI’s own Helen McVeigh and Dr Raoul McLaughlin joining Prof. Scott for his weekly Facebook Live Q&A. In surroundings generously donated by Dr John Curran, complete with plenty of product placement (no wallpaper background this time! ), this triumvirate of classical knowledge addressed the questions submitted by viewers. Instead of spoiling anything for you with a review of their answers and chat, here is a link for you to see it in full. CANI would also like to express our deepest thanks to the Ulster Museum for their continued support in hosting our events. It is a fruitful partnership we hope will continue for a long time to come. Indeed, our next event is a showing of Disney’s Hercules in the Ulster Museum Lecture Theatre on 4 May. Thanks to our speakers, Dr Ramsay, Dr Kolotourou and Prof. Scott for giving up their time and expertise to present three fantastic talks. To Legion Ireland for their long trek north to share their enthusiasm once more. To all those who attended, either by design or by being taken in by the presence of CANI banners or Roman legionaries. As you can imagine, an event like this does not come together without much unseen effort. Between them, Helen McVeigh and Dr John Curran took on a lot of heavy lifting when it came to emailing, calling, promoting, cajoling, taxi-ing, liasing, booking and planning, in order to make sure that the Schools Conference was the success it was. Helen herself would like to thank all the members of the CANI Board for taking time out of their schedules to help on the day. Thanks to you all and see you again next year! CANI Chair Helen McVeigh and Treasurer Dr John Curran were honoured to be invited to Armagh Robinson Library on 12th March 2019 for the launch of an exhibition of texts containing the fables attributed to Aesop. The library was founded in 1771 by Archbishop Robinson to display his own collection of books and fine art for public use. This temporary exhibition contains works and prints from the Library’s collection to show the legacy of Aesop’s fables. It is believed Aesop was a slave and storyteller who lived sometime around the late 7th and early 6th centuries BC. A fable is a short fictional story that teaches a moral lesson, and features animals, legendary creatures, plants, inanimate objects and forces of nature which are given human qualities such as the ability to speak. While Aesop himself did not record his stories, both Babrius, a Greek who lived in the second century AD, and Phaedrus, a Roman who lived in the first century AD, compiled their own collections of the fables. Since then, Aesop’s fables have been translated into many languages, and re-written according to local culture. Thirza Mulder is the archivist who created the exhibition and she has gathered together a number of 17th and 18th century publications and illustrations, as well as other works inspired by or based on Aesop’s legacy. We were treated to a tour of the library, and shown some of the 42,000 books it contains. The library’s oldest book is a religious text dating from the 15th century. Visitors are keen to view the first edition of Jonathan Swift’s Gulliver’s Travels, with the author’s own pencil corrections to changes his publisher made without his knowledge. The Aesop exhibition will run until the end of May 2019 and will be on view during the Library’s normal opening hours, Monday to Friday, 10am to 1pm and 2pm to 4pm. The Armagh Robinson Library can be found at 43 Abbey Street, Armagh, BT61 7DY. Already in antiquity, Antigone was a personality who appeared in a number of Greek plays; both Aeschylus and Euripides portrayed her. But Sophocles above all with his Antigone (441 B.C.) made famous the pious sister choosing fatefully to obey divine over human law. She, and the theme, have haunted human literature ever since and in Dr Des O’Rawe’s lecture on Reframing Antigone on Thursday 7th March 2019 the particular role of cinema in interpreting Antigone’s story was explored through the eyes of radically different twentieth-century directors and actors. The tension between political and higher authority has drawn film-makers from Italy, Germany, Greece Russia, Spain, France and England to Antigone. In continental Europe, contemporary politics were not far away from some famous cinematic re-framings: George Tzavellas’ Antigone (1961) was created in a Greece rocked by political scandals; Liliana Cavani’s The Cannibals (1970) – featuring a young Brit Ekland as Antigone – was set in a Milan that had grown disillusioned with the revolutionary tides of 1960s Italy while Straub and Huillet’s Antigone (1992) echoed Bertholt Brecht’s 1948 Antigone with its reflections on loyalty and desertion in a deteriorating Reich. Dr O’Rawe highlighted the startling variety of cinematic techniques that each had used, from Cavani’s dialogueless death-scene to the stark side-on filming of the main characters in Huillet and Straub. The latter had filmed with a minimal budget in the magnificent theatre at Egesta over the course of a single day while Cavani depicted a Milan strewn with unburied corpses. Dr O’Rawe’s audience were vividly informed of the continuing vitality of the ancient tragic heroine. And in a poignant coda to the intersection of modern film-making and Sophocles’ play, we learned the story of Zinaida Volkova, told by Ken MacMullen’s Zina (1985). Daughter of Leon Trotsky, exiled from home and family by Stalin, Zinaida came to believe that she had actually become Antigone herself. Years of psychiatric treatment in Berlin failed to save her from the passions and tragedy that so transfixed the Greeks. It is precisely these layers of meaning and madness that make Greek theatre so compelling today. CANI is indebted to Dr O’Rawe for showing so ably why cinema in particular has become a vital medium for handing on these precious ancient voices. On 21 February 2019, CANI4Schools returned to Dalriada School, Ballymoney for their third annual Classics Conference for AS and A2 Classical Civilisation students. Before a packed room of over 50 Dalriada students, together with Mr Stewart Bredin and Mr Vincent Doherty, Drs John Curran and Peter Crawford (QUB) presented four lectures on various aspects of the downfall of the Roman Republic and the establishment of Augustan Rome and its accompanying literature. Dr Crawford, a former pupil at Dalriada, kicked things off with the talk ‘From Rubicon to Actium: The End of the Roman Republic’ for both Upper and Lower Sixth, providing an overview and context for many of the events and themes the students were being met with in class. Dr Curran then looked at ‘The Rome of Augustus and Virgil’, again for both Upper and Lower Sixth, investigating the first emperor’s use of architecture, traditionalism, morality and propaganda in building and securing his position, while drawing on similarities to modern politics. After a break, Dr Curran expanded upon some of the themes raised in the previous talk by asking the Upper Sixth the question of ‘What was the Aeneid for?’ The answer involved looks at intertextual, teleological, historical and propagandist views of Virgil’s work and its use. The lecture series was completed by Dr Crawford presenting ‘The Trial of Gaius Julius Caesar’ on the charge of destroying the Roman Republic. Using the outline of a mock trial, ancient witnesses were called – Sulla, Cato, Cicero, Brutus, Augustus – taking into account their bias for or against Caesar. Modern expert testimony was also introduced, demonstrating to the students how politics can affect not only ancient but also modern sources. For those of you interested, the student jury decided that while there was a good chance that Caesar was establishing his own autocracy, the waters had been suitably muddied with regard to his motives and the state of the Republic by 44BC that there was enough reasonable doubt to prevent a conviction. Other interesting discussions included contrasting opinions on Cicero – ‘constitutional champion’ or ‘two-faced’ – and a ‘fierce’ debate over ‘Virgil vs Homer.’ The fact that such discussions pre-existed CANI’s visit demonstrates how involved the students are with their teachers and the classical material within the classrooms of Dalriada. Mr Bredin, Mr Doherty and the students commented on how useful the talks had been not only in presenting aspects of the end of the Republic, the establishing of the principate and the source material involved, but also as revision exercises for the new lay-out of the A Level courses. We at CANI would like to reciprocate those thanks to Mr Bredin, Mr Doherty and the students of Dalriada for letting Drs Curran and Crawford partake in that enthusiasm once more. Hopefully, we will see you again next year! If you are interested in a similar event for your school, association or group, do not hesitate to get in touch. CANI can call upon a wide array of specialists when it comes to various aspects of Ancient History, Classics and Classical Languages, so any event can be tailored to fit your needs and wants. You can also follow CANI’s Facebook and Twitter feeds or head over to our website to keep up to date with our upcoming events. Six months on from the third Belfast Summer School in Latin and Classical Greek, a group of hardy students and tutors met at Queen’s University for a day of even more Latin and Greek. Feedback from Summer School participants had suggested that students were interested in studying these ancient languages more frequently. So, in contrast to the annual summer meeting, in rather chillier temperatures, 14 students and six tutors met on Saturday 2nd February 2019 to spend the day consolidating, revising, learning new Latin and Greek grammar, and reading texts in the original language. Beginners Latin students revised grammar which had been covered in the 2018 summer school, with tutor Amber Taylor using Ecce Romani, a textbook which some readers might remember from school! The Intermediate Latin class began with some grammar revision with tutor Stephen McCarthy. The aim of Stephen’s class was to read Catullus 51, the poet’s version of Sappho 31, a poem to his beloved, Lesbia. Dr Laura Pfuntner’s Advanced Latin students read the story of Daedalus and Icarus from Ovid’s Metamorphoses and concluded the day with scansion. The Beginners Greek tutor was Dr Kerry Phelan and her class reached the conclusion of chapter 1 of the Athenaze textbook. Intermediate Greek students spent the morning revising grammar with tutor Helen McVeigh. After lunch, the group translated a short passage from Xenophon’s Hellenica. Lynn Gordon’s Advanced Greek class began reading from the speeches of Lysias and, after lunch, translated a section from Aristophanes’ Peace. As co-ordinator, the most important result for me is that students enjoyed the day, which I’ve been assured they did. Thank you to all the tutors for their hard work preparing for the classes, and for giving up their Saturday to teach. On behalf of the Summer School staff, thank you to the students for their energy and enthusiasm for Greek and Latin, and we hope to see you again in July! On Thursday 6th December 2018, members of the Classical Association in Northern Ireland gathered in the McClay Library at Queen’s University Belfast to read aloud selected sections of Ovid’s Metamorphoses. 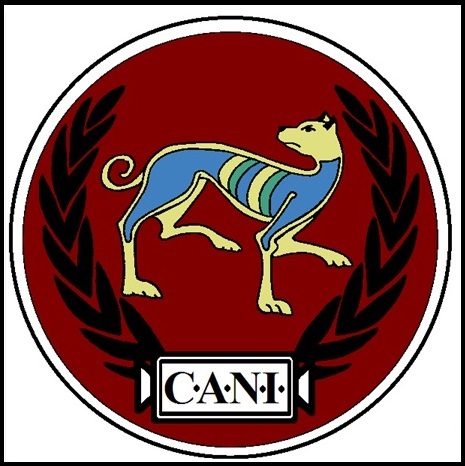 The CANI public reading has become an annual event at which we read an ancient text and raise funds for a worthwhile cause: the Simon Community NI. The Metamorphoses is a single poem covering some 11,995 lines. It was written by Publius Ovidius Naso and completed around AD 8. Ovid was the most distinguished poet of his time and his other works include Amores, a collection of short love poems; Heroides, verse-letters written by mythological heroines to their lovers; Ars Amatoria and its sequel Remedia Amoris, satirical handbooks on love. He was exiled by Augustus in AD 8 to the Black Sea. He never returned to Rome and died in exile in AD 17 or 18. The poem takes the form of a collection of approximately 250 independent stories taken from myth and connected by the theme of transformation. These stories are taken from both Greek and Roman myth and the poem has had a profound cultural influence, inspiring Chaucer, Dante, Shakespeare, and Titian, to name only a few. A flyer containing the background to the poem and its author, the event and CANI was distributed in the coffee lounge. Dr Laura Pfuntner, lecturer in Ancient History at QUB and CANI board member, selected sections of books 1, 2, 4, 6, 8, 10 and 11 for the reading. Beginning with the Creation, the Four Ages and the Flood, we continued with the timeless myths of Io, Pyramus and Thisbe, Arachne, Niobe, and Pelops. By lunchtime we had reached book 8 and the tale of the Minotaur and Ariadne. Then came the well-known stories of Daedalus and Icarus, Meleager and the Calydonian Boar, Orpheus and Euridice, and Atalanta and Hippomenes. At 3.10pm, another successful CANI public reading was brought to a close by Dr Pfuntner, concluding with the legendary King Midas. 31 reading slots were filled by 18 readers who came to Belfast from as far as L/Derry and Co Clare. We were delighted by the support from readers who took time off work to join in, the teachers who came to read in their lunch-hours, and all those who joined us, read, or donated. Thanks to the generosity of all those who donated, both readers and those who were just passing through the coffee lounge, £170 was raised for the Simon Community NI. I would especially like to thank CANI board members Dr Laura Pfuntner, Dr Peter Crawford, Dr John Curran and Dr Raoul McLaughlin for their help in preparing for the reading and on the day.